Like any other stuff, luggage needs to be taken care of to maintain its functionality, maximize its durability and keep its sleek look. While cleaning is the basic maintenance standard, knowing more details about this how to can be useful. Read on to for some tips on how you can make your luggage last. Cleaning your luggage thoroughly after each trip is very important part of your luggage maintenance. Cleaning rule number one is to clean both the interior and exterior and make sure that all of its parts in dry condition before you put it back into the storage room. The use of soft damp cloth or sponge to clean luggage exterior is commonly effective, but if dirt does not go away, handwashing it with soap can usually do the trick. However, dryer cannot be used in this case. The handwashed luggage is going to need to be hung to dry. 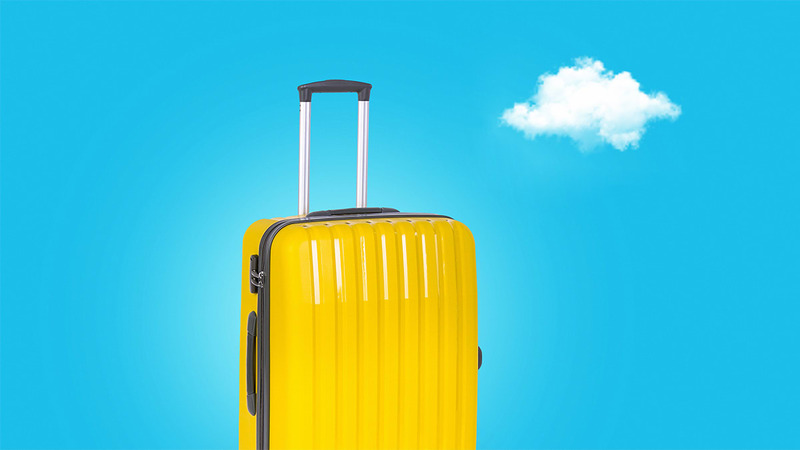 Complications may arise should your luggage is coated in water or stain resistant materials. This kind of specific materials may require special kind of detergents. The bottom line is to follow the manufacturer’s cleaning instructions. Taking all the things out from the luggage and unzip all the zippers are the very first thing to do to clean the interior. Only after that, the vacuuming can begin. Many prefer using the small ones to easily clean all the corners. It is also probable that odor removal products will be needed in case there is the trace of smell left by the item(s) previously put inside the luggage. The combination of one dose of vinegar and five doses of water can also help with this smell problem. Even more practical, you leave an activated charcoal in the luggage for one or two days to deal with this problem. Cleaning is also closely related to removing stains. Stain remover sticks seem to be the perfect solutions in this matter, especially while on the go. Other options include rubbing off the stain with damp cloth or a specific stain remover as recommended by the manufacturers. Mind you, though, the sooner you deal with the stain, the easier the removal is going to be. As the saying goes, better prepare an umbrella before it rains, it is better to prevent loose screws from actually coming off and stiff handle from completely getting stuck. It is best to deal with those kinds of problems as soon as possible. In regard to the vanity aspect of the luggage, the use of dyes and polishers can work like a charm, especially if they are regularly applied. Even maintaining the glorious look of leather suitcases can be done by using these techniques. Quite differently, luggage with hard surfaces is prone to getting scratched. While scratches are unavoidable, making them less obvious on hard shell luggage is not impossible. The techniques are pretty simple, too. All you need to do the first technique is to wash scratched area with soap to get rid of all residues, air dry it, rub a pencil eraser on the scratch(es), then wipe the area with cloth. The second requires you to prepare a toothpaste, a soft toothbrush and clean cloth. The toothpaste should be applied on the soft brush then on the scratch(es). The professionals, on the other hand, go the extra mile to keep their customers’ suitcases shiny and more resistant to scratches by applying silicone car polish. Another parts that need thorough maintenance are the luggage wheels. Problems with the wheels mean you can be as mobile as you would like to be. Lubricants and sprays are commonly used to keep them rolling smoothly on all kinds of terrain. Nevertheless, the one product that has proven its effectiveness in this area is the so called WD-40, which is an aerosol lubricant. Not merely popular for its magic of maintaining your smooth mobility with the wheels, but it has also been claimed to keep the colors of the luggage other parts as sharp as new. Having dealt with the cleanliness and looks of the luggage, it is now the turn to decide the best place for your luggage to put it when it is not on duty. Although damp attic, storage room, and garage are the spots most people are likely to pick for their luggage, your closet may actually be a better option. The truth is that your luggage needs air to ‘breathe’. Packing it loosely and storing it in a well air circulated room is your best bet. Should there be a great possibility of its not being used for a long time, leaving a fabric softener inside the luggage is good for avoiding unwanted lingering damp smell. If something breaks on your luggage, check out whether it’s covered under warranty from either the manufacturer or the retailer.